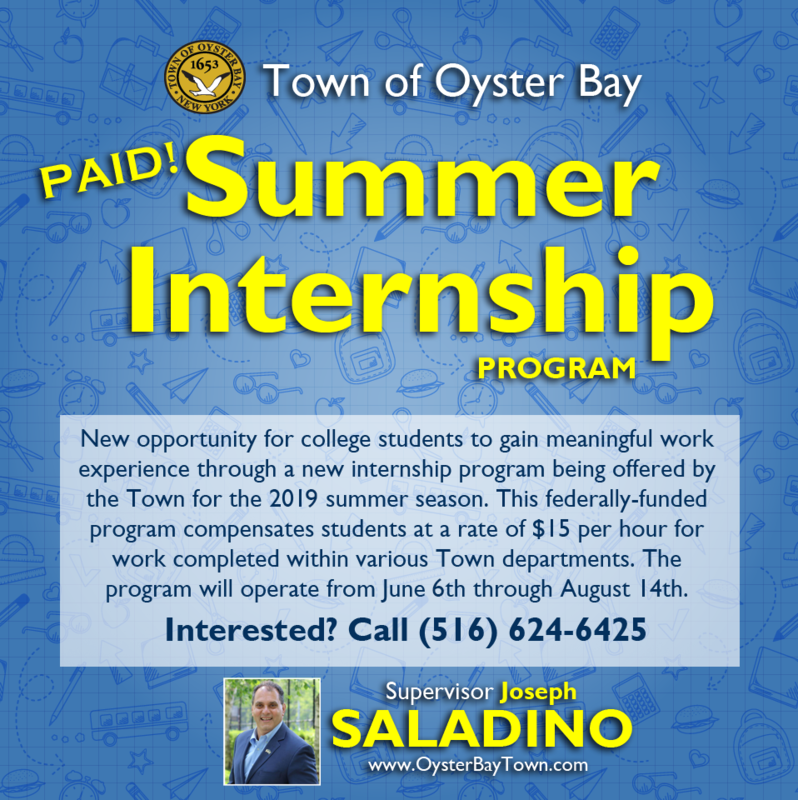 Oyster Bay, NY – Oyster Bay Town Supervisor Joseph Saladino today announced a new opportunity for college students to gain meaningful work experience through a new internship program being offered by the Town for the 2019 summer season. This federally-funded program compensates students at a rate of $15 an hour for work completed within various Town departments. The program will operate June 6th through August 14th. Funds have been granted to the Town by the Oyster Bay-North Hempstead-Glen Cove Workforce Development Board. This new internship opportunity program offers college students the ability to gain worksite specific knowledge, learn departmental procedures, assist with general office duties and reports, develop an understanding of worksite specific projects and apply the knowledge gained to benefit the Town of Oyster Bay. College students interested in internship opportunities must apply by May 10, 2019. Applicants must submit a resume with their application, available HERE. For more information, please call (516) 624-6425 or email personnel@oysterbay-ny.gov.